Recruiters are not only sales and HR connoisseurs, but they also need to have some basic knowledge and understanding when it comes to marketing jobs and candidates. When you have a recruiter who lacks this knowledge and understanding of how to use it, you will fail at delivering the best talent to your clients and keeping the process moving forward. A recruiter has influence over not only the advertisement of their job opportunities, but also the advertisement of candidates to the hiring manager. A recruiter’s job is to not only call on and interview top talent, but also to advertise their job opportunities to talent. Any good recruiter will be calling on candidates who are not necessarily searching for work. These candidates are also referred to as “passive candidates” and they are typically the top talent that our clients are looking for. When a recruiter contacts a passive candidate, they need to be prepared to advertise their position as the perfect job for that candidate. Verbally, a recruiter needs to be able to point out all of the positive selling points about their job and explain why it would be a great fit for a candidate. Other than verbal advertisement, a recruiter is often needed to get involved with putting together written job advertisements to post on job boards or social media outlets. Recruiters should know what top talent is looking for and what will catch their eyes. Understanding the selling points of a job is key. A great recruiter will also be active on social media sites such as LinkedIn, Twitter, and Facebook. You will notice this recruiter engaging their network with industry related articles, questions, as well as advertising their job openings. 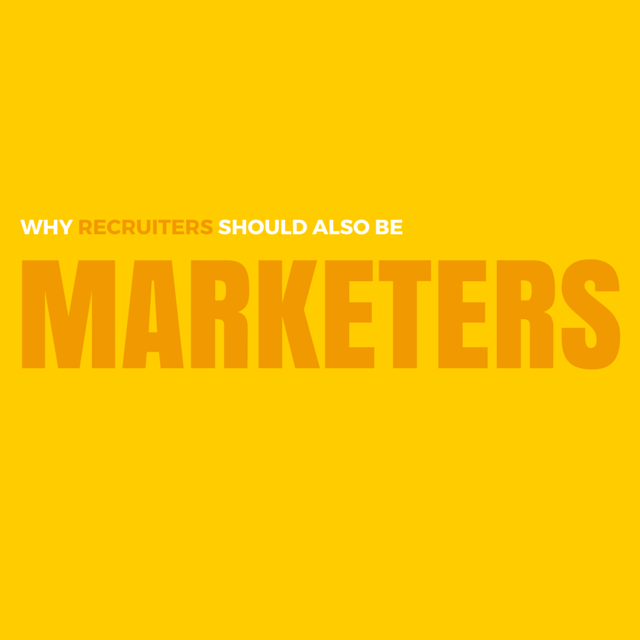 A good recruiter will have the basic understanding and knowledge of marketing when it comes to advertising their job openings in a positive and attractive light to top talent. Not only must a recruiter advertise job openings to talent, but they also will need to advertise talent to their clients. When a recruiter identifies a candidate for an opening, the recruiter’s job is not over with. A good recruiter will begin putting together a portfolio or presentation of that candidate’s skills and background. This presentation will need to display that the candidate not only has the skills needed for the job, but also the desired personality and any other items that the hiring manager is looking for. The written candidate presentation should be able to attract the hiring manager’s attention and explain why this is the candidate for the job. In order to do this correctly, the recruiter must have basic marketing skills, allowing her to mention key buzzwords that will grab the hiring manager’s attention. If the recruiter lacks this skill, it is likely that she will simply send resumes to the hiring manager with little to no selling points on the candidate. In turn, the hiring manager will likely find something he doesn’t like on the resume and toss it over to the side without giving it further thought. Without basic marketing skills, your recruiter will fail at getting their candidate’s that initial interview with the hiring manager. 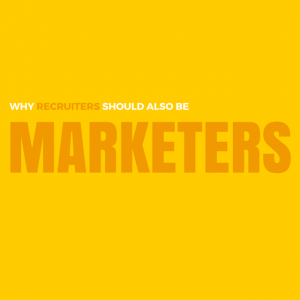 What are some other reasons why it would be helpful for a recruiter to have marketing skills?